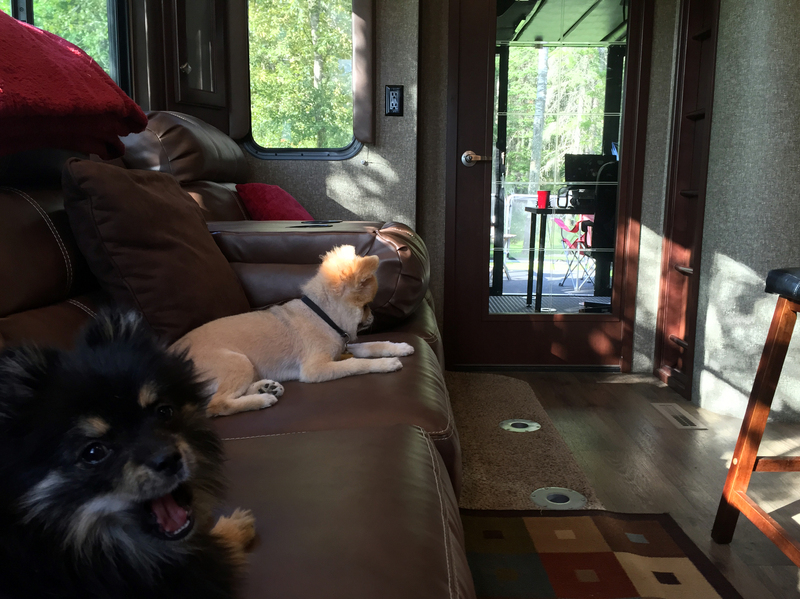 What’s it like to RV to Northern Minnesota? When I tell people I’m from Minnesota, I get a huge range of responses. 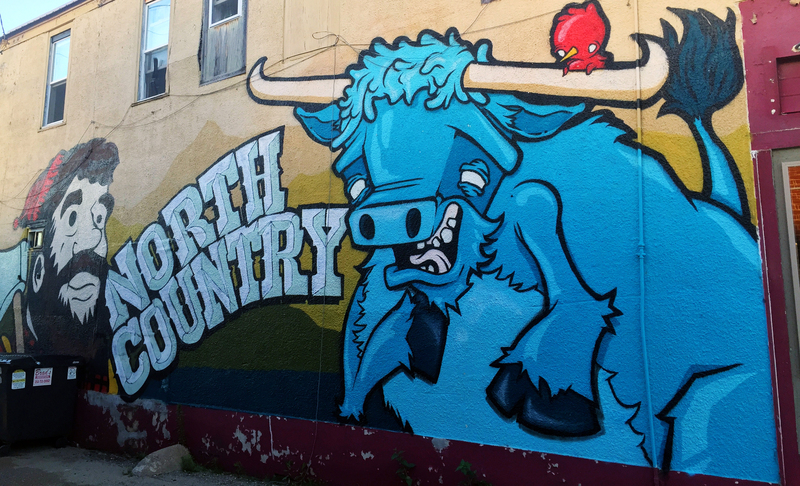 It seems the further away we get, the further away from reality people think of Minnesota. Is there still snow in the summer? Are you guys part of Canada? Do people really talk like Bobby’s World? 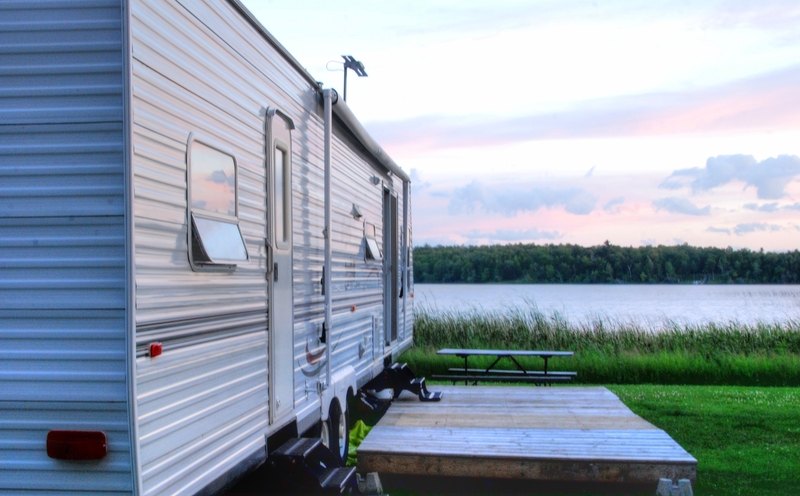 So what’s it really like to take an RV Trip to Northern Minnesota? 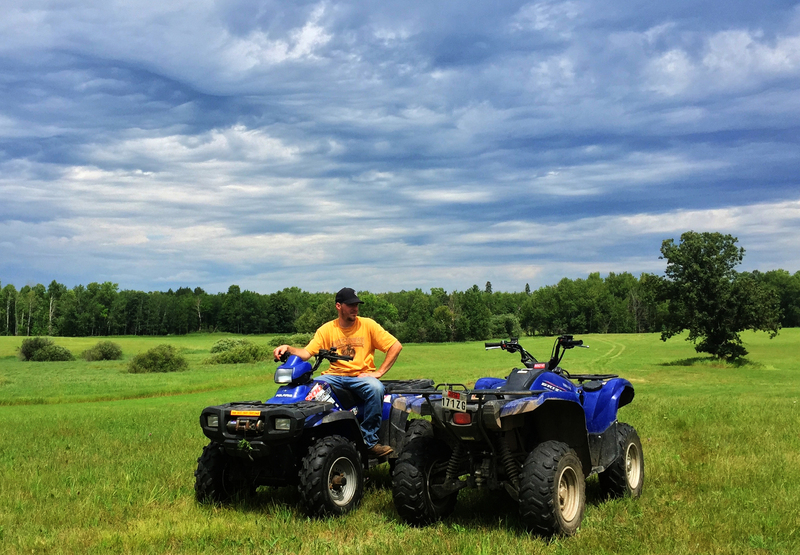 We set out to capture what it’s like to answer some of these questions about the Northern part of the Land of 10,000 lakes! 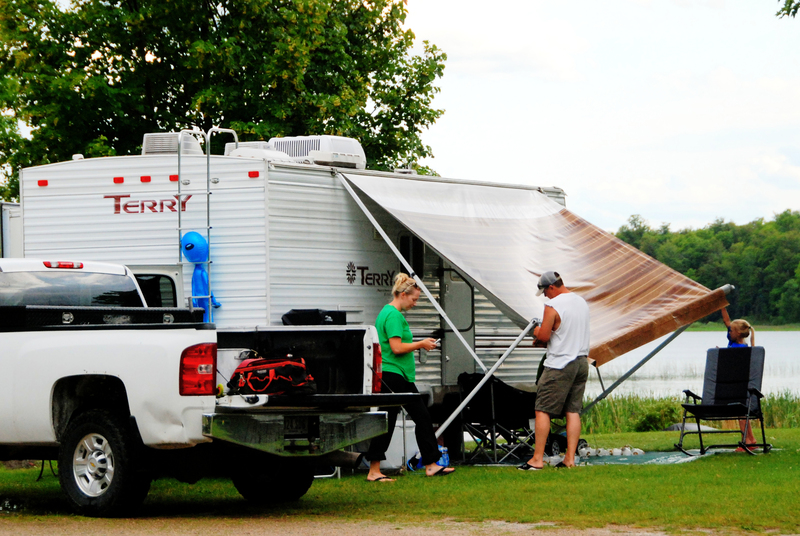 We headed up 10 miles north of Bemidji and stayed at the beautiful Fox Lake Campground. The drive from the twin cities area was gorgeous. As we got close and drove through some really scenic wooded roads we started to get really excited. It was SO BEAUTIFUL! After a warm welcome at the RV Park we got settled into our spot and set up camp. 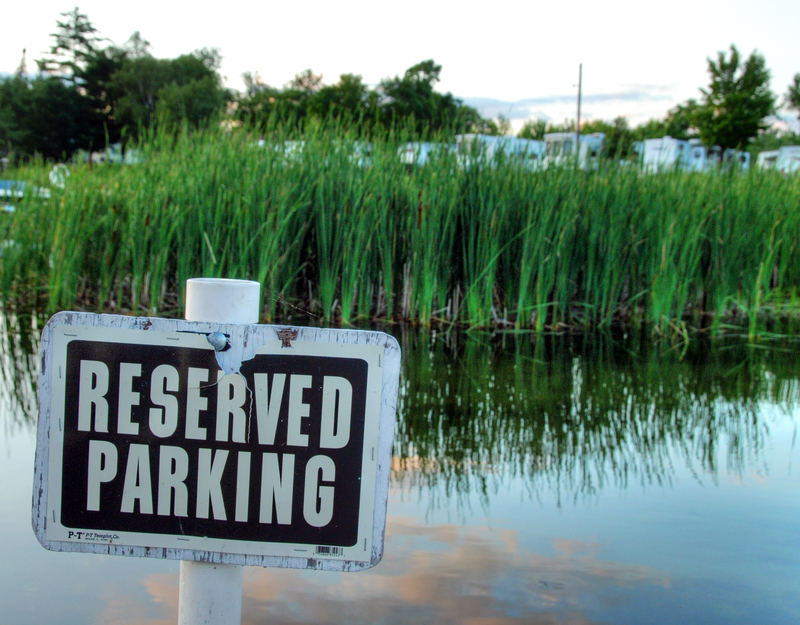 This RV Park was close enough to the town of Bemidji yet far enough to be surrounded by nature. 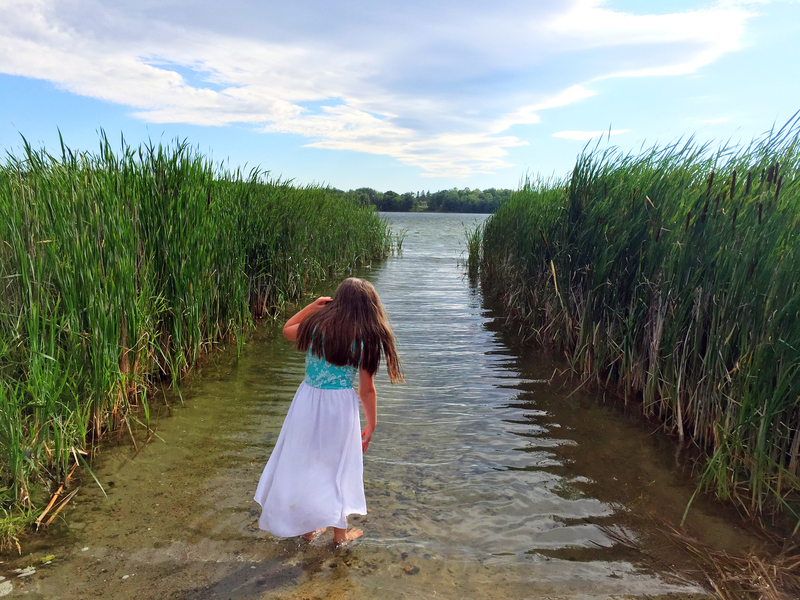 There was so much to do at the campground, we often had to force ourselves to venture out to explore the local area. 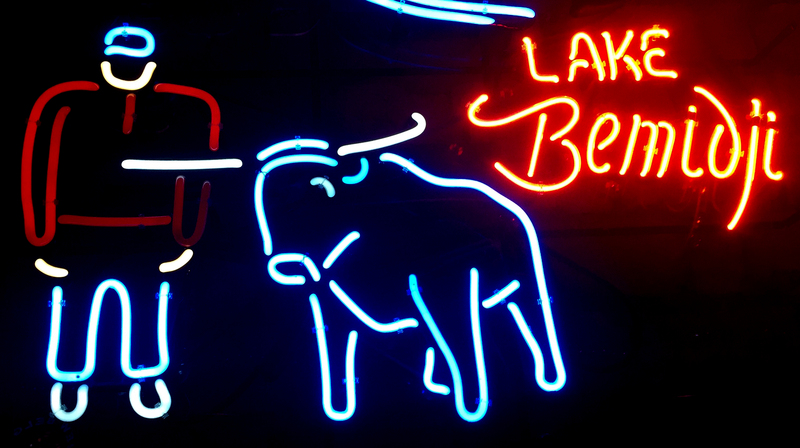 We’re sure glad we explored though, we got to experience some incredible things like cheese curd cheeseburgers. Downtown is on Lake Bemidji and has a lot of art and sculptures. 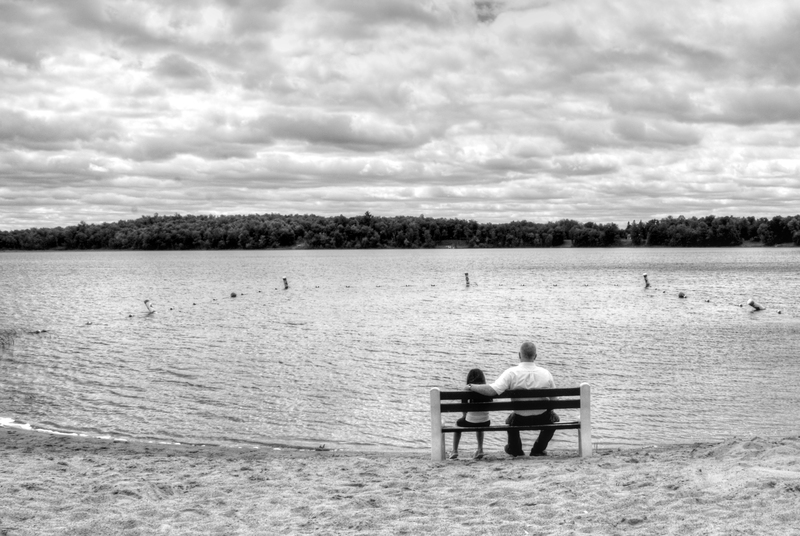 The main reason we chose the Bemidji area is that my (Eric) 6 year old daughter Nevaeh from a previous relationship lives with us in the summer. She lives with her mom in Bemidji during the school year. We took her on a trip early in the summer to the east coast and then found it to be a win/win to have her back in Bemidji where she was involved in summer basketball camp, a horse riding competition, etc. It also happens to be one of the most beautiful areas in the country so it was a no brainer for us. On most evenings we would go for a walk to the docks. The water is clear and we could easily see fish. One evening I saw around a 30 pound Snapping Turtle feeding under the water. 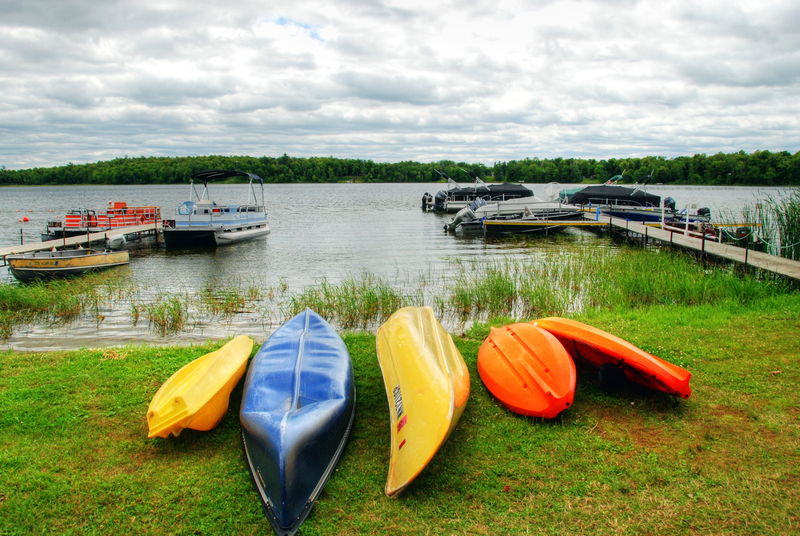 The campground allows you take out Kayaks and Canoes for FREE. 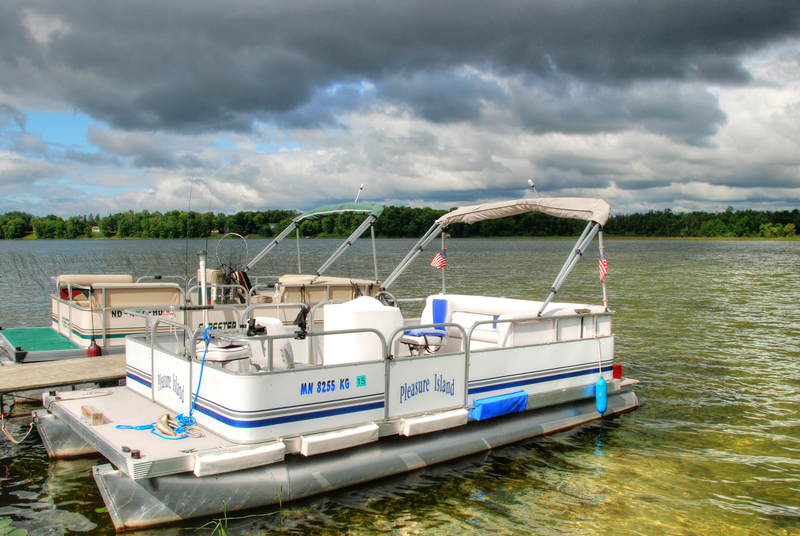 You can rent fishing boats and pontoons for a low cost to head out into the waterways. 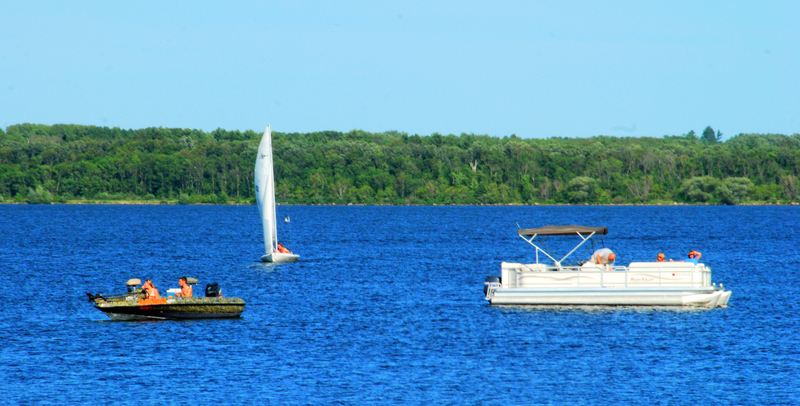 Fox Lake is connected to 5 other lakes that you can boat to in a very short amount of time. 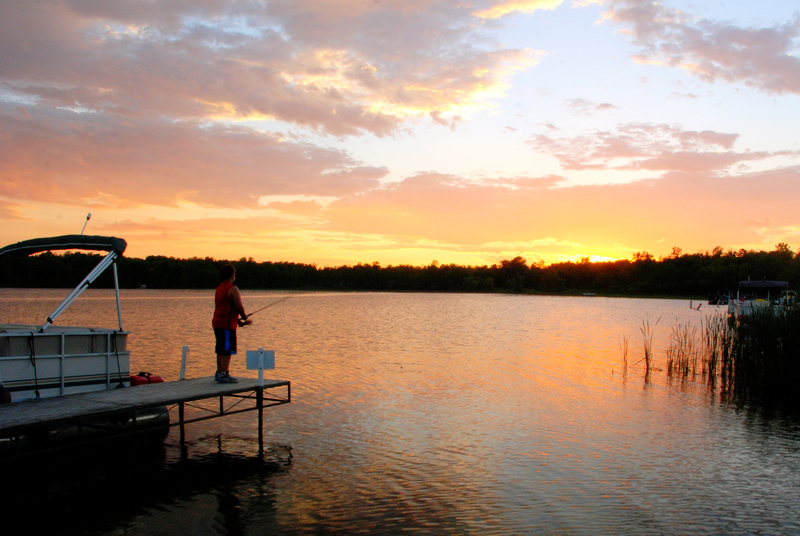 This alone gives you a great Minnesotan experience to see the different forests and wildlife surrounding these lakes. 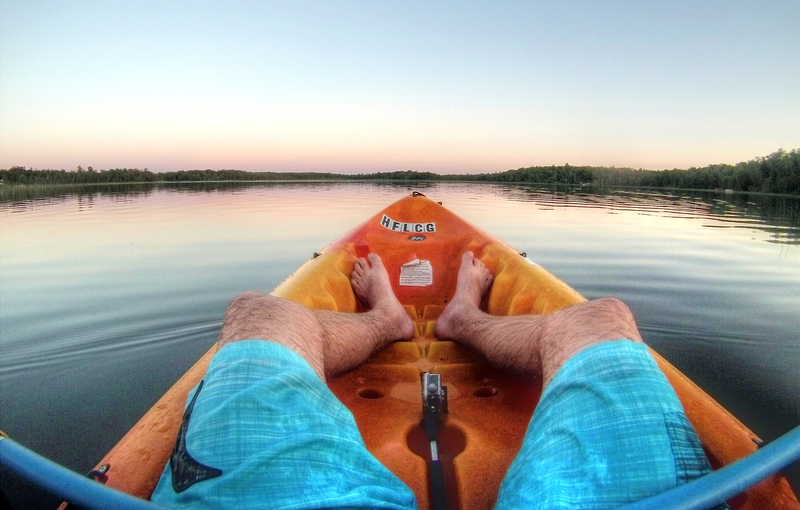 I’m not one to pass up a good Kayak Adventure so I headed out on the challenge to get to as many lakes as I could. This is a very kid friendly campground. 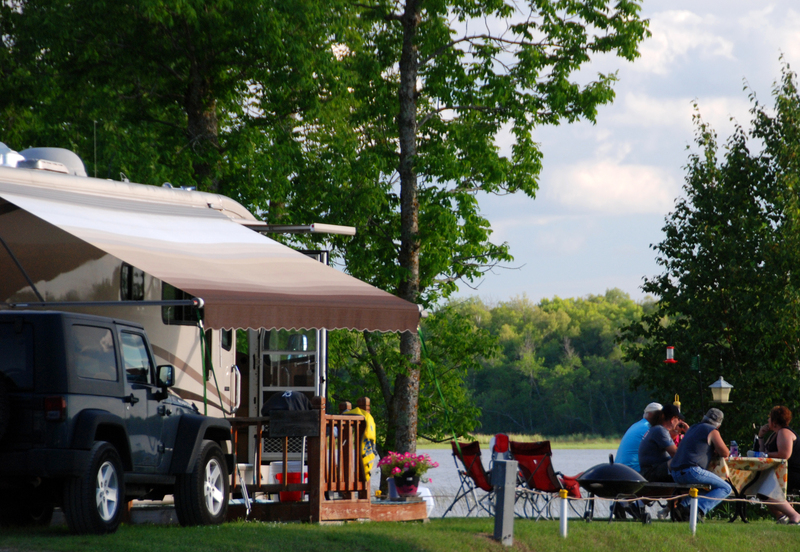 The staff and the RVers are very “Minnesota Nice”. They have things to do for kids of all ages. There is a large playground, basketball court, they even lend out Bikes for FREE! Nevaeh learned to ride bike at the RV Park. The beach was nice and the water was clear. We walked around in the water spotting schools of sunfish. 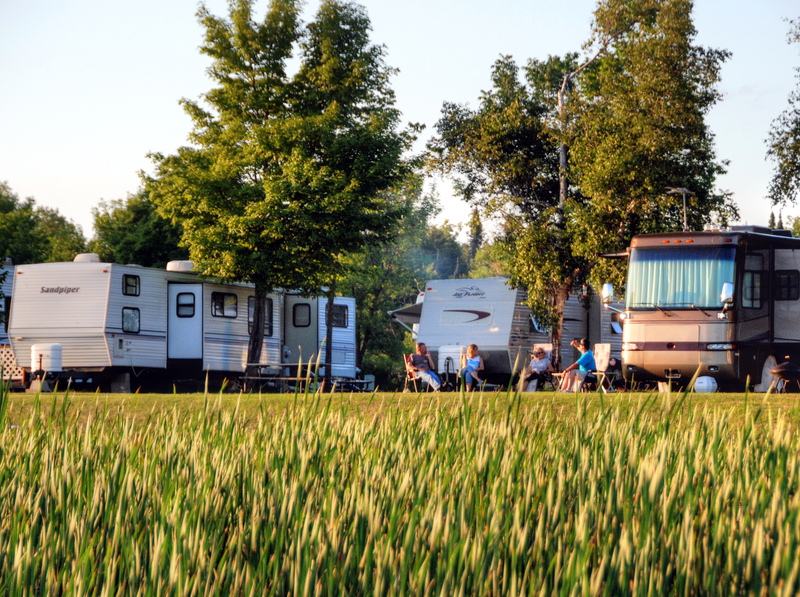 The phrase “the more shots you take the more you score” rings true with great outdoor experiences and RV Trips. It’s easy to get caught into your routine and stay inside, but if you force yourself to get outside often you will be amazed at the things you’ll see in the world. 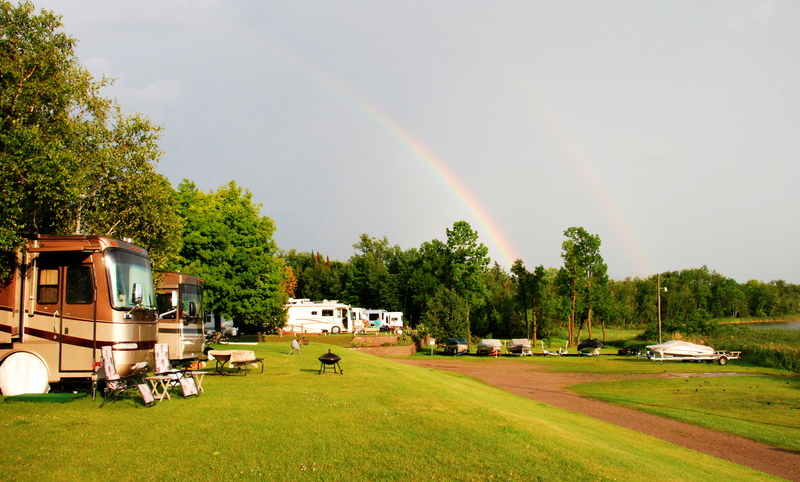 On this day we saw a beautiful double rainbow arch from the RV Park to the Lake. 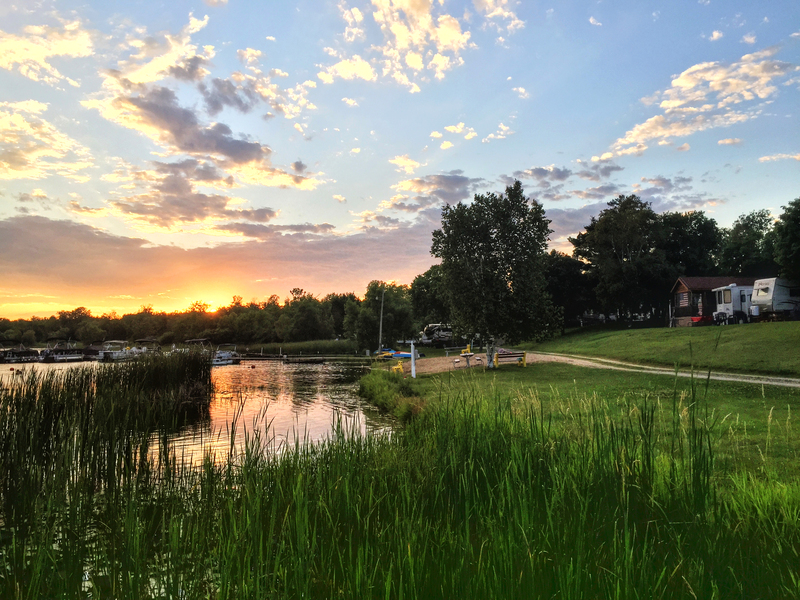 Although they have many spots for week or weekend campers, there are a lot of people who come for the summer to enjoy living at waterfront property. 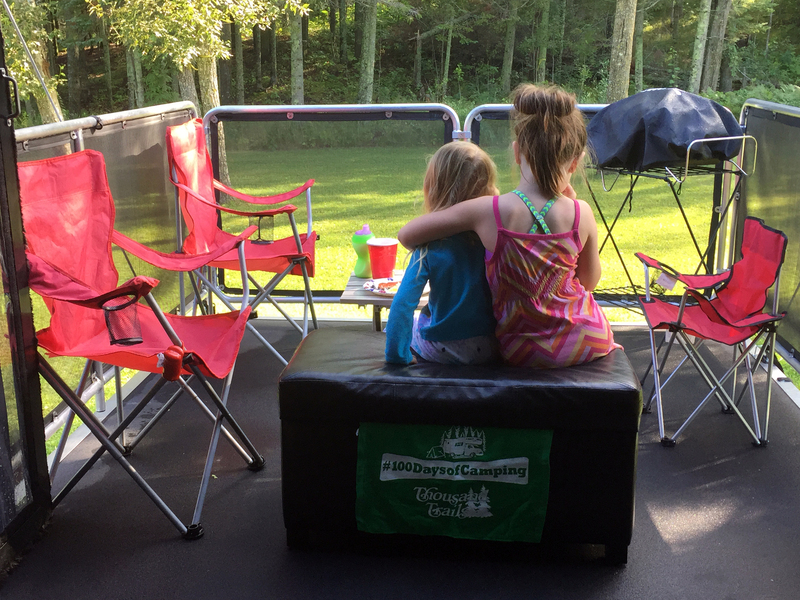 This is what the RV Life is all about. Connecting with friends and family in the great outdoors. We saw many extended families coming together to enjoy a week at the lake. Got a boat? Drop it in and park it at the RV Park. They have a lot of dock space for fishing or parking. This is why it’s critical that you pull in your awning before a storm. The damage happened quick and was costly. 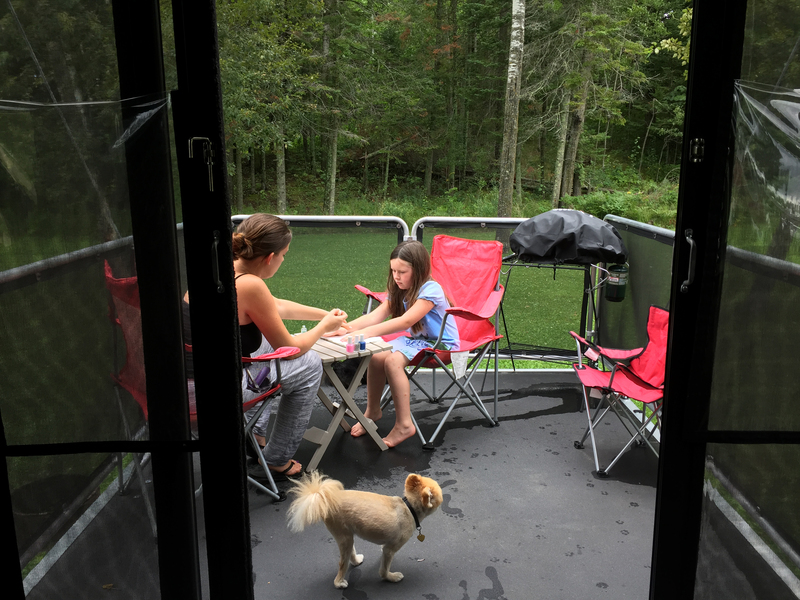 I got to sit and watch Danielle and Nevaeh having a Spa Day on the RV Deck while I worked in my office. 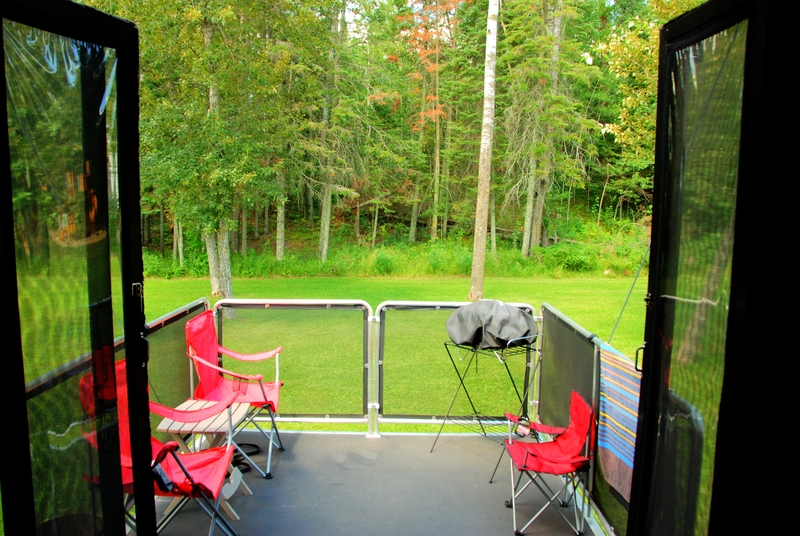 You can see my desk free standing in the Toy Hauler facing the deck. We got the desk and chair at Ikea and it’s worked out fantastic! My parents came up one weekend to spend time with us on a mini vacation. We enjoyed the time with them and they especially enjoyed the time with Nevaeh. While we were there we went to the Lake Bemidji Dragon Boat Races. We headed out for a vacation from our vacation. We took off to meet up with my friend around 25 miles away in the middle of nowhere for a long weekend of 4 Wheeling. Grilling on our Road Warrior Deck is a regular thing for us. Some of our neighbors grilled with quite the lake view! Nevaeh’s sister hung out with her one day instead of going to daycare. It was priceless to watch these two hang out together. 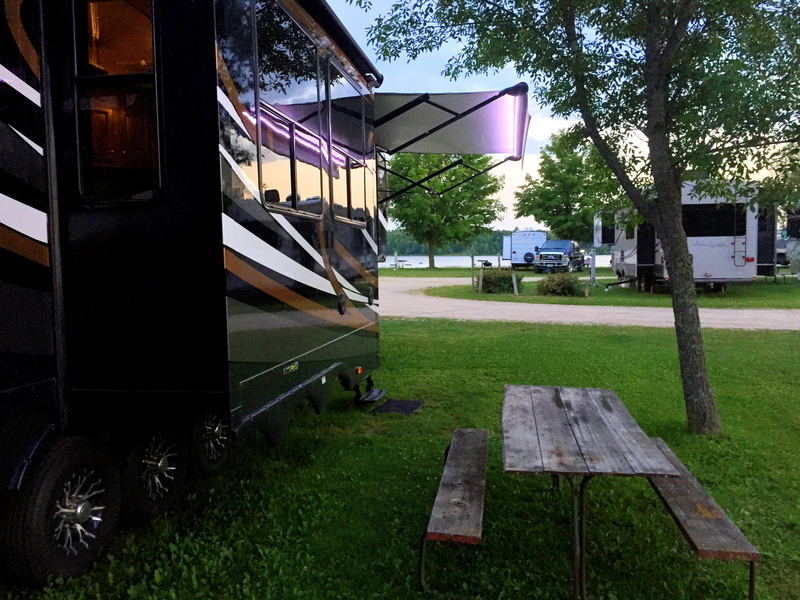 Big Pros to staying at Hamilton’s Fox Lake Campground. Since we work remotely we usually rely on our Verizon Jetpack to stay connected. We have a plan for 20 gigs but usually use around 30 gigs. They have strong signal on the FREE Wi-Fi which help us save money by uploading our large files/videos for our clients. The owners take a lot of pride in keeping the place clean and their guests happy. This is an incredible place to relax or hit the trails seeking outdoor adventure! 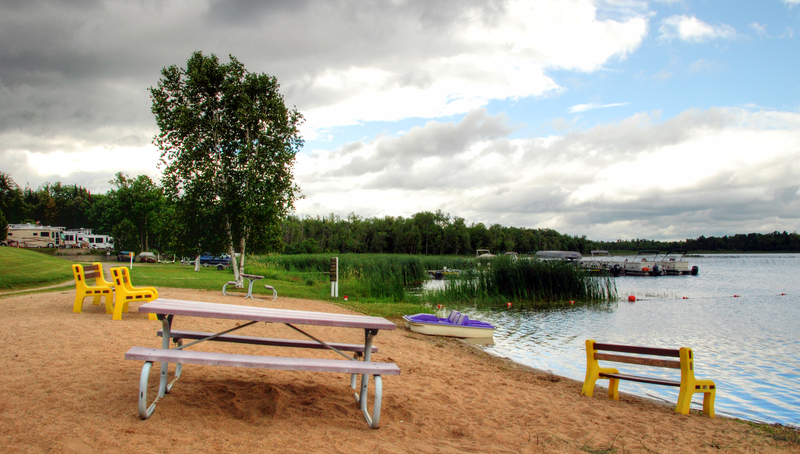 The campground is filled with things to do and the area is packed with top notch outdoor adventure! The Lake and surrounding area are really beautiful! The Loons would sing us to sleep each night. How about you, have you been to Minnesota? Share your story below! 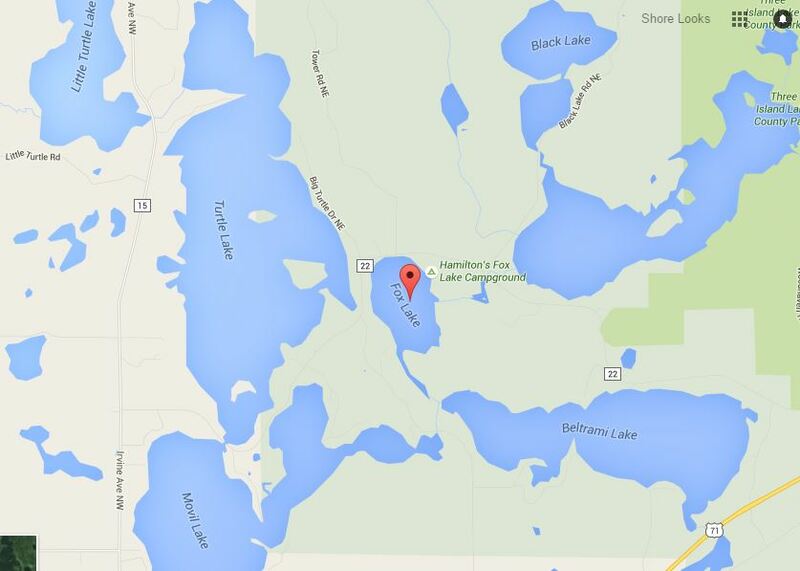 Great Plug for Fox Lake here. I’ll second that we really did enjoy our week at Fox lake in July, and plan to be back again someday. I grew up in Pennsylvania and would travel to Bemidji in the Summer (Concordia Language Villages in the South West shore of Turtle River Lake) before attending Concordia College in Moorhead. My friends all laughed at me saying it snowed from September to June. I assured them it is only from October to May. And snow hasn’t been my biggest worry. Concordia flooded the week I signed my acceptance to the college. I do have to agree about the accent. Never gets old. We have camped there for the last 10+ years. We have a park home that remains there year around. Nothing in the article is exaggerated. It is a wonderful campground run by wonderful, caring people. You can’t go wrong planning a weekend or summer there. One thing the article missed are the beautiful sunsets that happen almost every night. I would have posted a number of pictures if I could have, but you may as well book a weekend and come see for yourself. We couldn’t agree more about the sunsets! Nice post about camping in Minnesota. We made several trips from Georgia to Minnesota in our fifth-wheel when our daughter lived in St. Paul. 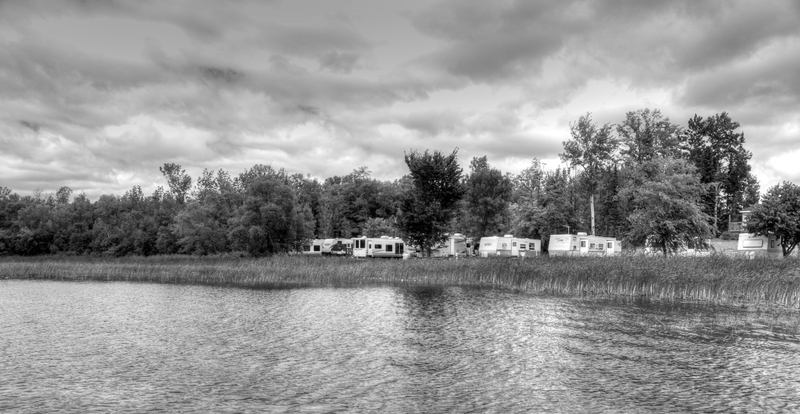 We loved camping in Itasca State Park to see the headwaters of the Mississippi River and also loved the North Shore. And we traveled across I-90 through Minnesota a couple of times. It is a beautiful state. Thanks! Yeah it’s a gorgeous state! We’re going to live there again this summer.